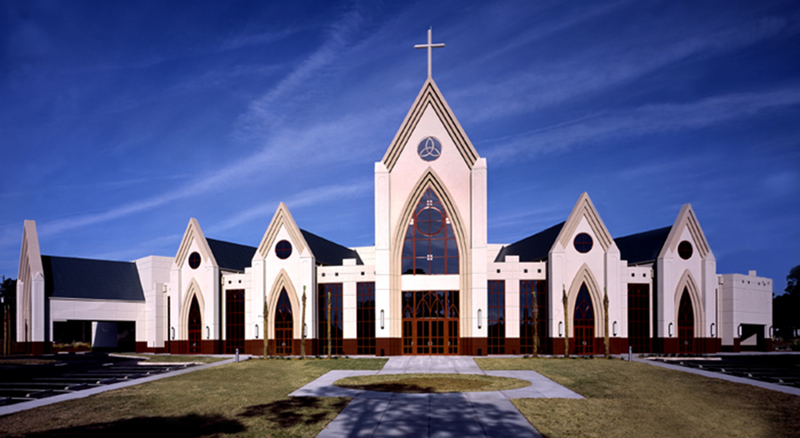 The design for this project is based on historical references to French Gothic Cathedrals using the latest technologies in tilt panel construction. At 92 feet and almost 11 inches, the concrete tilt panels are considered the tallest in the United States. Reveals are cast into the walls to create patterns and designs; the crosses at either end of the building at the peaks are cast in concrete as part of the tilt panel. Design details include vaulted ceilings with decorative steel trusses that are exposed throughout the building where all the pitched roof areas are located. EIFS detailing accentuates the high arching windows creating dramatic shadows. 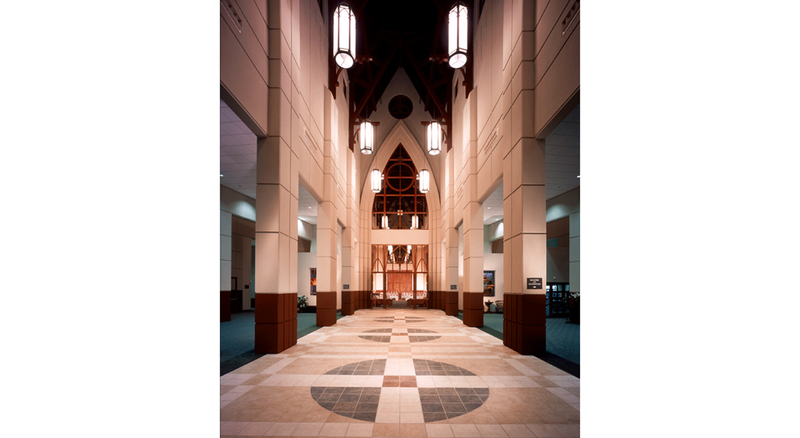 The Sanctuary features state-of-the-art sound and lighting systems, seating for 1,000 while giving cues to the Cathedrals of old. The building also contains facilities to care for newborns through preschool as well as providing multi-use rooms for a variety of functions.